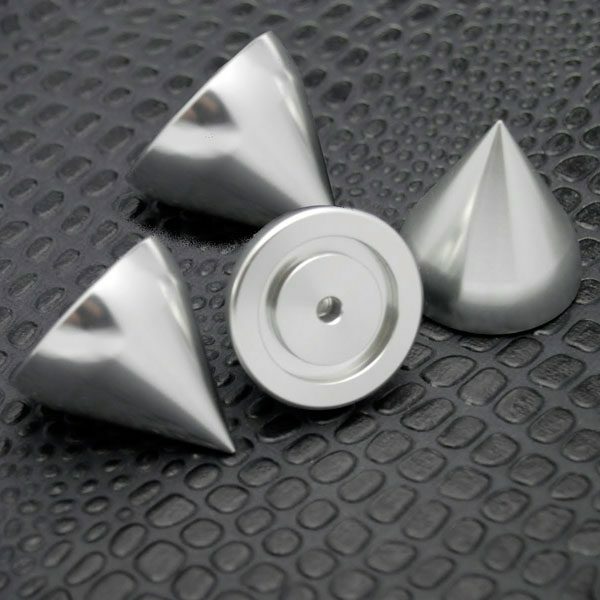 Aluminum Isolation Cones are beautifully machined from T6-6061 billet aluminum. high polish finish with a machined M4 threaded insert for optional permanent mounting. Available in sets of 3 or 4 cones.